One of the oldest buildings in Hove looks likely to be turned into homes and offices. 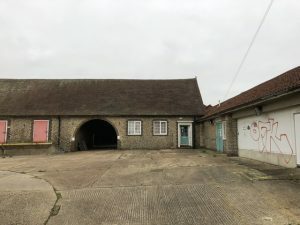 The aim is for the site of the disused 19th-century dairy in The Droveway to retain its historic character while a modern extension will be replaced. Fourteen homes are planned for the site, just off Dyke Road Avenue, including four “affordable” homes. A planning application to make the changes won the backing of councillors this afternoon (Wednesday 9 January) provided a detailed agreement is reached by Wednesday 1 May. 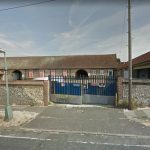 The deal will mean that the applicant Sirus Taghan pays more than £180,000 in “developer contributions” to Brighton and Hove City Council. A report to the council’s Planning Committee, which met at Hove Town Hall today, flagged up the policy of retaining “employment use”. And one councillor, Labour’s Jackie O’Quinn, shared concerns that the offices would struggle to attract tenants and end up being turned into homes. The flint buildings – most recently used by Dairy Crest – have been derelict for some years. And the planning application itself has taken more than a year to be considered, prompting Mr Taghan to submit an appeal to the Planning Inspectorate, which will make a decision. Mr Taghan wants to retain the locally listed barn and turn the former stables into four “affordable” homes, with plans for a new wing of ten private houses at the rear of the site. Neighbours sent 25 letters of objection and one of them, Julian Hunt, of Mallory Road, spoke against the application, which runs the length of his property. He was concerned that the row of eight house at the rear of the scheme would overlook his home and back garden. Pierre Dowsett, of Dowsett Mayhew Planning Partnership, spoke for Mr Taghan and said that extra screening could go along the boundary to prevent people seeing into the neighbouring gardens. Conservative councillor Lynda Hyde said: “I am concerned about the back terrace. I feel there would be a sense of enclosure. 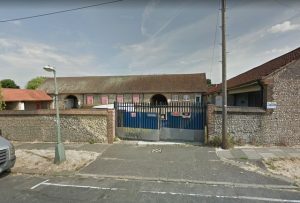 Green councillor Phélim Mac Cafferty asked what marketing work had been carried out to make sure that Hove did not end up with a “redundant” development. Mr Dowsett said that planning restrictions on the site meant that it could not be marketed as anything but a dairy. 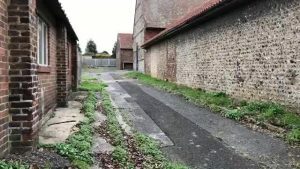 Councillor Mac Cafferty said that he had listened to the neighbours’ objections and added: “This is an unusual site which has not been in use for at least eight years. “This is a site that has been in use since the 1800s. We cannot question the historic importance of the site. Labour councillor Jackie O’Quinn was against the scheme and concerned about the owner’s ability to let the offices. She said: “If you cannot rent out offices in the Dubarry building next to Hove Station, then you would be hard pushed here. She also said that The Droveway is a sought-after and expensive area where people would prefer a sunny south-facing back garden. Concerns were also raised about parking. The site would have 39 spaces in total, some for the offices. Labour councillor Penny Gilbey said that the distribution of three spaces for the four affordable homes and 18 for the private houses was unfair. Hove Park ward councillor Jayne Bennett and Goldsmid councillor Jackie O’Quinn voted against the plans. Councillors Gilbey, Robins, Inkpin-Leissner, Phillips, Mac Cafferty, Miller, Hyde, Wealls and Cattell were in favour. I am not holding my breath after Taghan’s behaviour all those years over Medina House. I can see this becoming another drawn-out matter while a building decays. Just to clarify. The applicants submitted an appeal before the committee meeting. So the decision we took yesterday does not mean that planning permission has been granted. It just forms the basis of our submission to the Planning Inspectorate. A second application is in the pipeline. A curious two-pronged twist which, so far as I can infer, looks as though Taghan is set upon a course to remove, down the line, the dairy buildings. He caused himself special damage over Medina House. Who can trust him now?